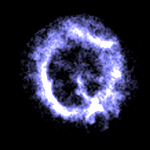 Images from NASA's Chandra X-ray Observatory reveal previously unobserved features in the remnants of three different supernova explosions. Two of the remnants, G21.5-0.9 and PSR 0540-69, show dramatic new details of the prodigious production of energetic particles by a rapidly rotating, highly magnetized neutron star, as well as the enormous shell structures produced by the explosions. The striking image of the supernova remnant E0102-72 shows puzzling spoke-like structures in its interior. E0102-72 is a supernova remnant in the Small Magellanic Cloud, a satellite galaxy of the Milky Way. 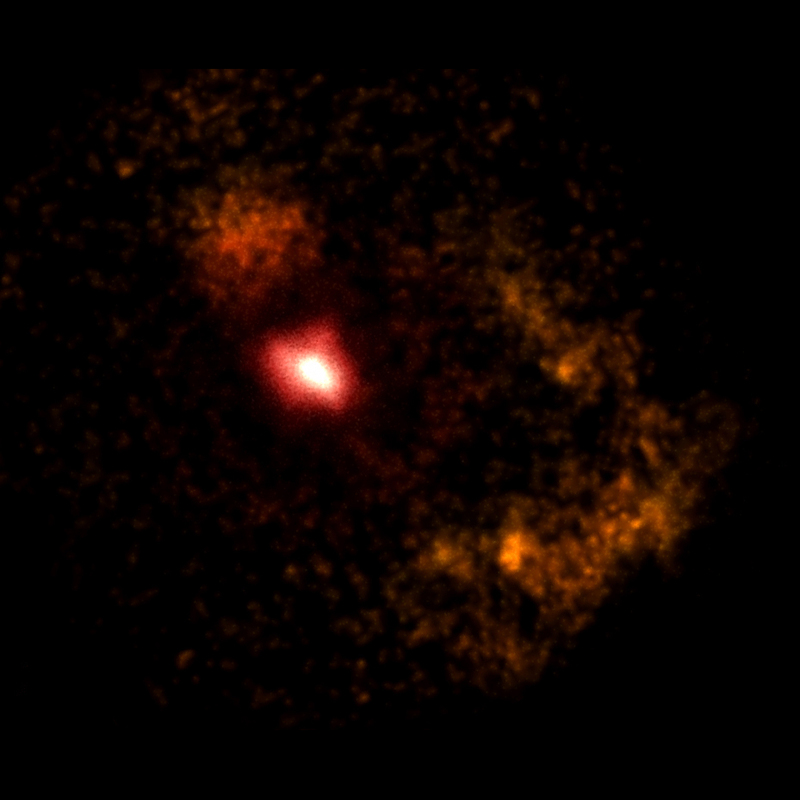 This galaxy is 190,000 light years from Earth. E0102 -72, which is approximately a thousand years old, is believed to have resulted from the explosion of a massive star. Stretching across forty light years of space, the multi-million degree source resembles a flaming cosmic wheel. 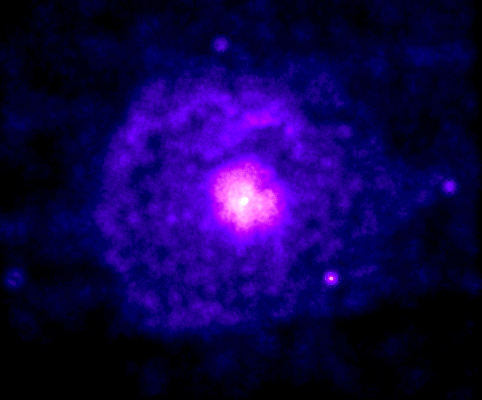 Coordinates (J2000) RA 01h 04m 02.40s | Dec -727deg; 01' 55.30"
The identification of G21.5-0.9 as the remnant of a supernova explosion is based on indirect evidence from radio and X-ray observations. At both radio and X-ray wavelengths, it appears as round patch in the sky. Detailed observations with radio telescopes confirm that the radio waves are produced by high energy electrons spiraling around magnetic field lines (synchrotron radiation). 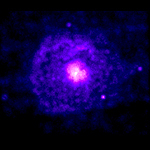 The X-rays are probably produced by the same process, but the electrons involved have energies many thousands times higher than those that produce the radio waves. The favored theory is that the high-energy electrons responsible for both the radio and X-ray emission are produced by a rapidly rotating, highly magnetized neutron star left behind when a massive star exploded some 40,000 years ago. Coordinates (J2000) RA 18h 33m 33.50s | Dec -10° 34´ 06.70"
PSR 0540-69 is a neutron star, or pulsar, that is rotating very rapidly, making a complete rotation every one-twentieth of a second. It is similar in many ways to the famous Crab Nebula pulsar. Both objects are spinning rapidly, are about 1,000 years old and are surrounded by a large cloud of gas and high-energy particles. The surrounding cloud in both cases is powered by the conversion of rotational energy of the neutron star into high energy particles through the combined action of rapid rotation and a strong magnetic field. PSR 0540-69 is 160,000 light years away in the Large Magellanic Cloud, one the Milky Way's small satellite galaxies. Coordinates (J2000) RA 05h 40m 11s | Dec -69° 19´ 55"